The son of a retired battalion chief, Burns was the father of three grown children. 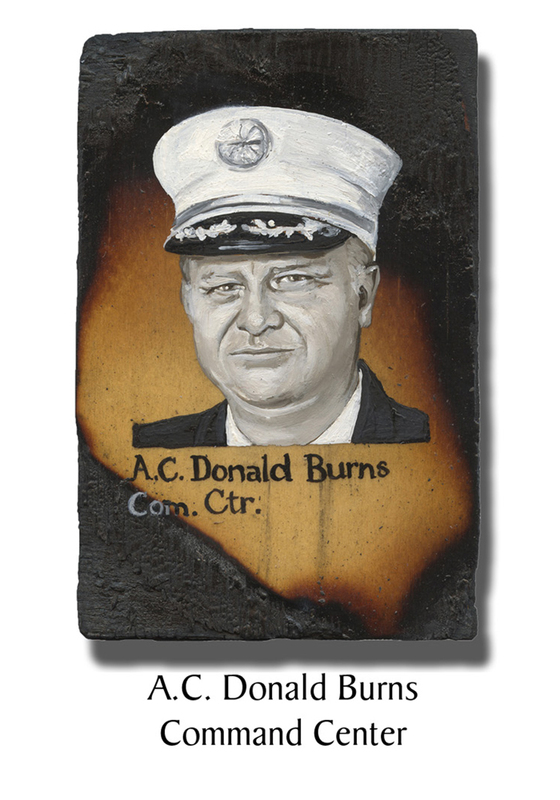 This entry was posted in Better Angels Stories and tagged 343, 9/11, better angels, Dawn Siebel, Donald Burns, FDNY, firefighter, firefighters, firefighters of 9/11, LODD, Manhattan, memorial, NFFF, paintings, portraits, World Trade Center, WTC. Bookmark the permalink. I had the honor of remembering Donald J Burns on the 9-11 stair climb, in Denver, CO, in 2018. This climb is done each year to remember those that had lost there lives on 9-11. I climbed 110 flights of stairs in his honer. It is my hope that his family, friends, and coworkers always remember the brave sacrifice he made, and that he will NEVER be forgotten. God Bless.